As the new flying season in the UK gets underway for aerial surveys, I like to look back over the past year and reflect on the great imagery we captured. In 2015 we were lucky enough to be in the right place at the right time to capture some great images of iconic British events. Last year we were lucky enough to be capturing high resolution imagery over London when some of the UKs best known events were being held. 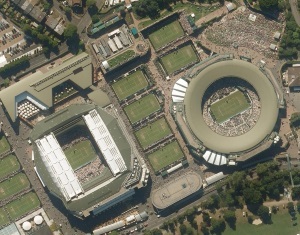 It is no surprise to see how packed both Centre Court and Court Number 1 are! 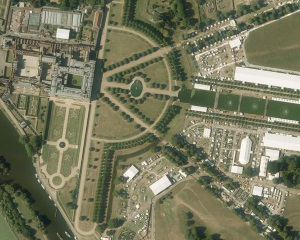 I certainly had no idea that the Hampton Court gardens and its world famous Flower show are so big! We regularly capture imagery of well known and important buildings and structures. 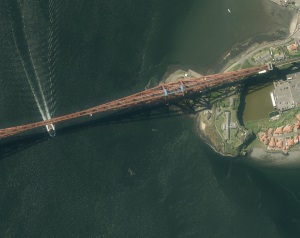 The Forth Bridge is considered an iconic structure and a symbol of Scotland, and became a UNESCO World Heritage Site in July 2015 and we were lucky enough to capture this aerial image on that very day. Whilst flying enroute to aerial survey locations, our Ops Team quite often spot opportunities for a photo snap, and last summer was no exception! 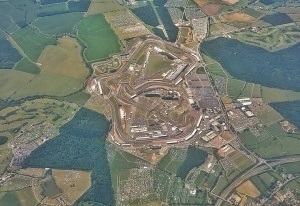 Check out this snap of the Grand Prix at Silverstone which was taken on a mobile phone. 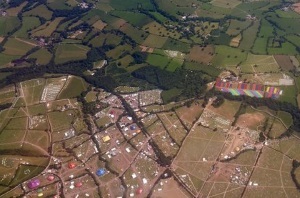 ​And here is the Glastonbury Festival site the day after the festival ended, the picture was also taken from a camera phone. There was no mud but that is a lot of rubbish to pick up!